Michale ("Mick-ail") Sevy isn’t a fitness devotee or a glutton for punishment. He’s not particularly issue-driven. He’s a low-key guy from Minneapolis who’s downsized his life and gets around without ever getting behind the wheel of a car. And though he doesn’t brag about belonging to that cohort of year-round car-free cyclists, he’s quick to encourage others to join the car-free club. 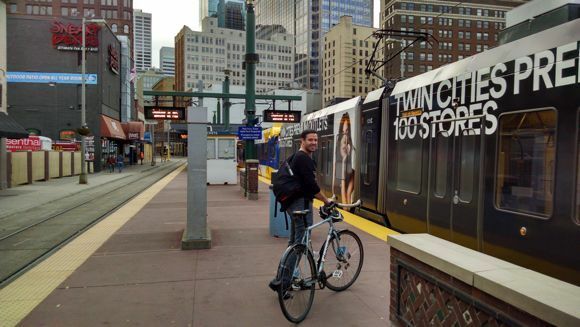 “I’ve been living without a car in Minneapolis for several years now and it works perfectly for me,” he says. “If I can do it, a lot of other people can too,” even if they rely more on transit and carsharing than year-round biking. “You just have to take the plunge,” he adds. Here’s how Sevy became car-free.